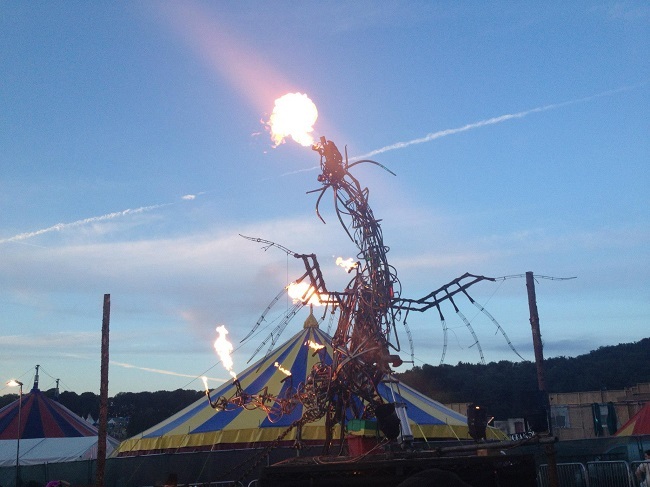 Few festivals can say that they’ve enjoyed the level of success and growth that BoomTown Fair has achieved in the six years it’s been kicking about. That’s because few festivals offer anywhere near the spectacle, the atmosphere, or the straight up banging party that the good townsfolk invite us to every August. I’ve seen the rise of the mighty BoomTown first-hand, from its humble 3/4k capacity beginnings to this year’s 30-40k, and there’s talk of it hitting 50k in 2016. 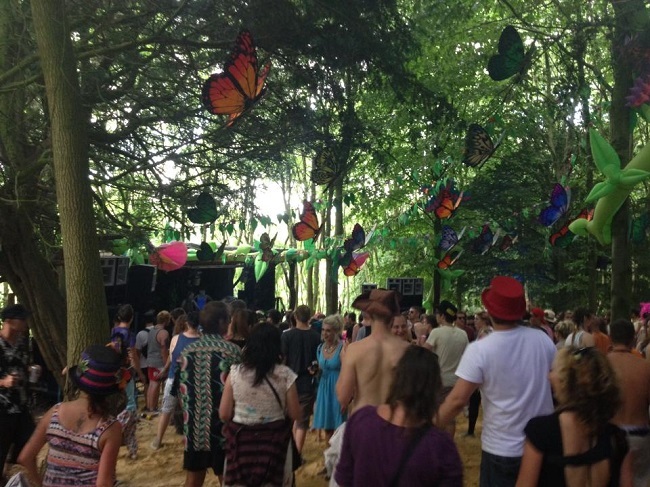 But what has made it the fastest growing festival on the UK scene? Has it sacrificed its original identity to get the punters in? Why does this humble C/T contributor keep going back for more like one of Walter White’s biggest fans? Keep reading to find out…. With such a huge market for festivals and an ever-increasing calendar of events springing up all over the country, some organisers have realised that the discerning festival goer wants more than a few acts on stage and luke-warm watery beer. A lot still do this, don’t get me wrong. But every so often we’re blessed with a troupe of visionaries. People who know exactly what a festival crowd wants (essentially loud soundsystems, decent acts, and a nice locale), but seem to be determined to go one step beyond. To surpass expectations. To be the cause of that thought that BoomTown residents will perfectly understand: “Did…did I just see that? For Real?” To make people start asking other festivals why they’re not doing this, or that. The Secret Garden Party blazed the trail for this back in 2004, and hot on its heels came BoomTown Fair. BoomTown isn’t so much a town anymore as a fully fledged and prosperous city. What’s more is that it has its own history, its own storyline that’s played out by hundreds of actors over the weekend. This year, skullduggery’s afoot. The ousted Mayor lost his power and status with anything but grace and hit the scrumpy too hard. After your standard time-travel deal was struck up with aliens, the Mayor altered history so that the modern-day BoomTown is now beset by a cut-throat hoard of outlaws based in Wild West Street. Just another day at the office then. Wild West is the new district that joins TrenchTown, Whistlers Green, Mayfair Avenue, OldTown, Barrio Loco, ChinaTown, DownTown, and KidzTown that got split in 2013 to make up the cityscape. Each district has its own venues, musical identity and dress theme, and you definitely will not want to be left out in that respect. Force that mate who ‘doesn’t do fancy dress’ to have a laugh. Sometimes it’s pretty tricky to know who’s an actor and who’s just come along for the ride like you! Some festivals talk about immersive experiences? Pfft. You know nothing Channel 4 anchorman (Note to Ed: Jon Snow, Game of Thrones reference). You need to live IN BoomTown to truly be AT BoomTown. Yeah, yeah, I’m sounding pretentious. But it’s true! Watch from the sidelines at your own peril. BoomTown musical policy Sounds spot on to me. Since day one BoomTown has always been the festival that puts all other line ups to shame. Expect proper festival sounds coming at you from all angles. 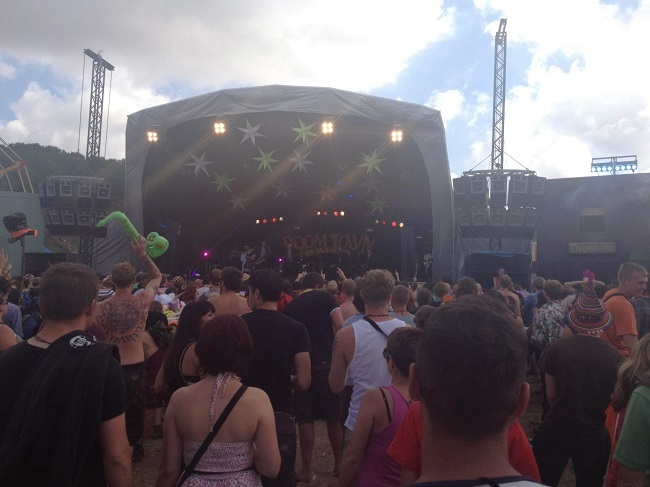 At heart, BoomTown has always been about Punk, Ska, and Reggae. SO much Reggae. But like all intelligent beings, it has evolved. As BoomTown’s grown, it’s encapsulated all other party and rave styles that you dare think of, developing a solid rep as being the one-stop-shop for the diverse music lover. Looking for Electro-swing, Hip Hop, Jungle, DnB, Dub, Dancehall, Ragga, Bashment, Break-Core, Breaks, Garage, Grime, Techno, Ragga Hardtek, or Psytrance? Well throw that in with Psychobilly, Bluegrass, Cajun, Dirty Blues and of course, Ska, Punk, and Reggae and you’re getting close to what Boomtown has to offer over its 40 stages. Your headline slots come from The Cat Empire, The Skatalites and Babylon Circus on the Town Centre stage. Also smashing this main outdoor rig will be; Dub FX, Hot 8 Brass Band, Tape 5, Molotov Jukebox, and Babyhead. I could be here all day recommending who to check out, so instead here’s a good ol’ fashioned list, split by district. Talk about spoilt for choice, I tell thee. Barrio Loco: Stanton Warriors, The Mouse Outfit feat. Dr Syntax & Sparkz, Dizraeli & Downlow, The Scribes, Dub Phizix & Strategy, Kahn & Neek, Lazy Habits, Mr Woodnote feat. Fernquest & Lil Rhys. ChinaTown: NOFX, Mad Sin, The Filaments, Inner Terrestrials, P.A.I.N, Radical Dance Faction, Morning Glory, Anti Vigilante, The Stiff Joints, Sonic Boom 6, Imperial Leisure, Count Skylarkin. OldTown: Babylon Circus, The Woohoo Revue, The Baghdaddies, Diving for Sunken Treasure, Russkaja. Whistlers Green: Tinariwen, Afro Celt Sound System, Treacherous Orchestra, Dizraeli & The Small Gods, 3 Daft Monkeys, Beans on Toast, Bellowhead. Trenchtown: UK Allstars (Congo Natty, Tippa Irie, Daddy Freddy, Top Cat, General Levy, Tenor Fly, Sweetie Irie), Macka B & The RootsRagga Band, Easy Star All Stars: Dub Side of the Moon, The Skints, Iration Steppas, Mungos Hi-Fi feat. Parly B & Charlie P, Channel One, Benny Page & MC Sye. Downtown: Black Sun Empire, Rockwell, Slamboree Soundsystem, Chris Liberator, Freefall Collective, Ray Keith & Carasel MC, Cause 4 Concern. Vandal. Wild West: Hayseed Dixie, The Doghouse Boat Boys, Pronghorn, Dr Bluegrass & The illbilly 8, Boot Hill All Stars, Dirty Cello. KidzTown: Lots of fun for the little buggers, and Formidable Vegetable Collective are doing a set there!!! Worth seeing them even if you haven’t got a kid (and can endure funny looks). With the upper-limit of the word count approaching, I’ll see you in the Wild West with facial hair that’s been growing for a week trimmed in to a freshly styled handlebar mustache.